As the second largest country in the world, getting to areas of Canada and back home can be taxing. That’s where business class flights to Canada can help. 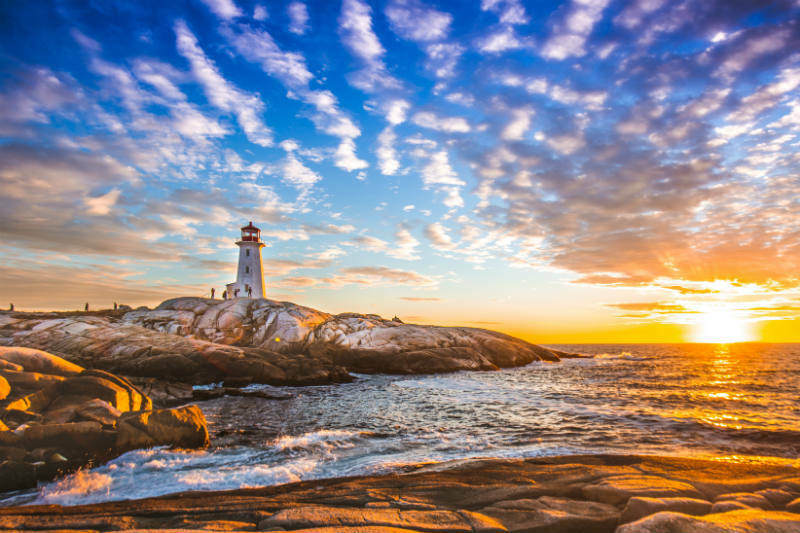 From business trips to Ontario to bear watching in British Columbia and everything in between, flying business class to Canada will ensure you arrive relaxed and ready for whatever you have planned in Great White North. 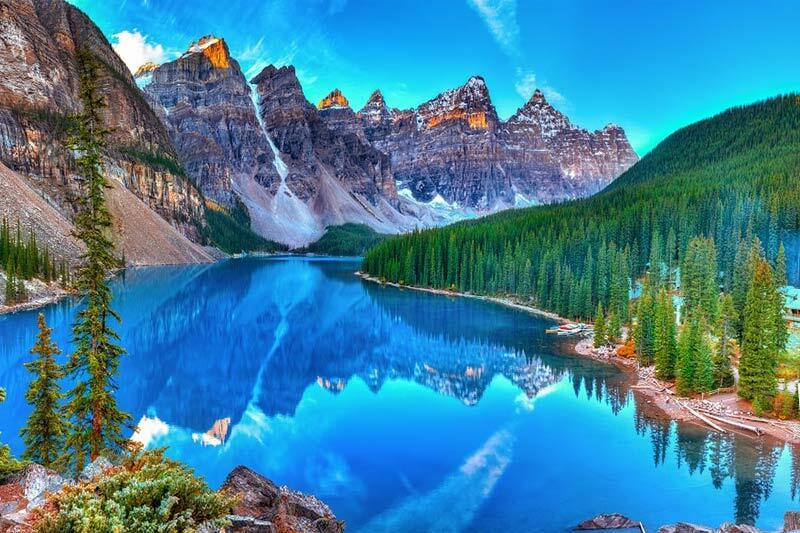 Canada – a country with some of the most dramatic scenery, captivating wildlife, friendliest people, and diverse cities in the world. And with the longest coastline and over 50% of the world’s natural lakes, this unique and exciting place is just begging to be explored. Whether it’s experiencing the wild west country of British Columbia, a skiing trip to Alberta, seeing the northern lights in the Yukon and Northwest Territories, photographing polar bears in Manitoba, marvelling at Niagara Falls in Ontario, discovering the French history of Quebec, or driving one of the best roads in the world through the Maritimes, Canada has the ability to entice travellers for a lot of different reasons. Just Fly Business can help organise your holiday to Canada. With specially contracted rates, we can find the best flights, accommodation, car hire, tours, tours and cruises to suit your needs. With such a large and diverse country, it’s very rare that people have the time to truly experience everything in one trip. This is where the experts at Just Fly Business come in. We can help plan your trip to encompass the things that are most important to you. Paired with business class flights to Canada, this will ensure an amazing trip tailored specifically to your needs. 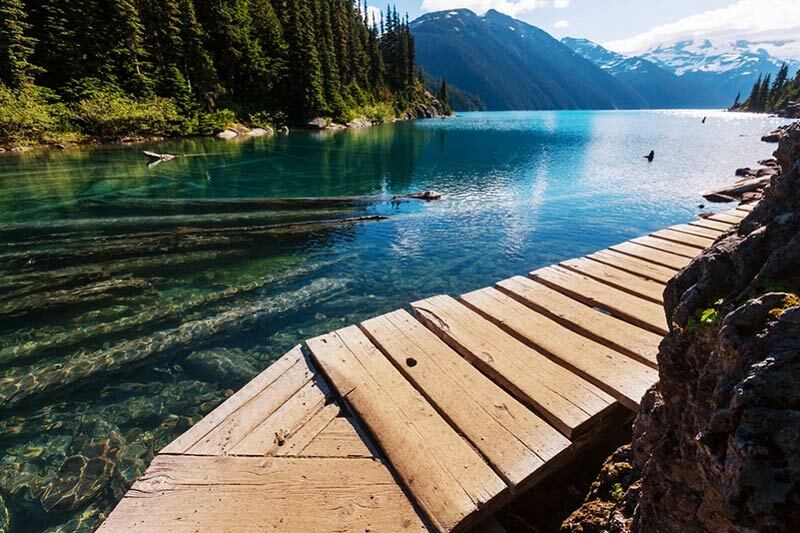 Wild and rugged, British Columbia draws visitors for a lot of reasons. From the picturesque capital city of Victoria and seeing Grizzly Bears in Tofino on Vancouver Island to the Sea to Sky Highway heading to Whistler, the home of the 2010 Winter Olympics and some of the best skiing and snowboarding in the country, BC is the perfect blend of city and wilderness. 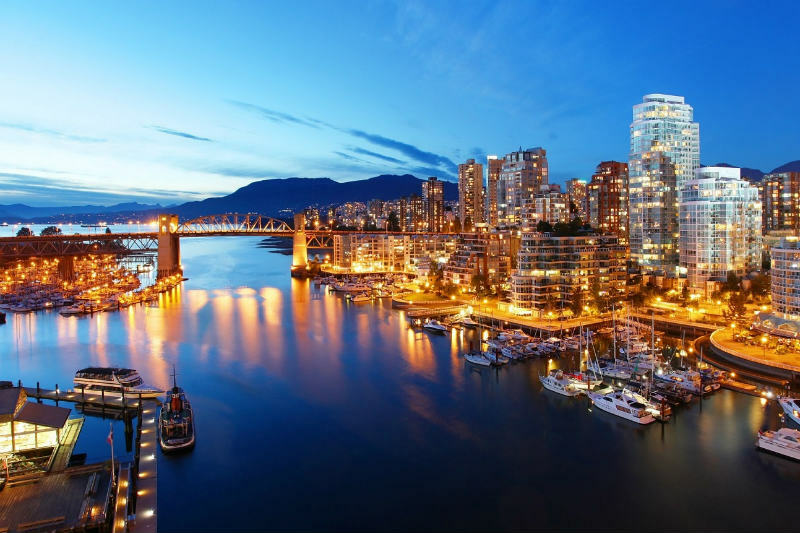 The city of Vancouver, known as the City of Glass, is backdropped by the breathtaking snow-capped mountains and includes Stanley Park and Gastown amongst its many attractions. 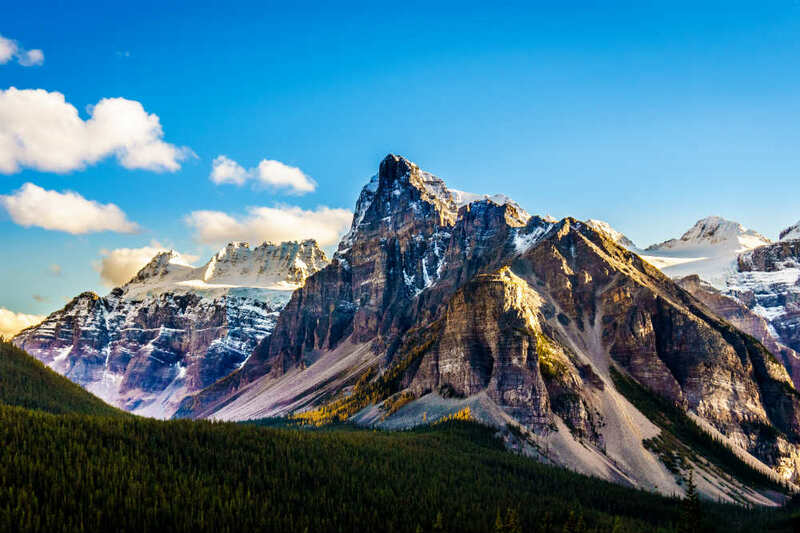 Cruises taking in the fjords along the Inside Passage and up to Alaska depart regularly from Vancouver, and the world-famous Rocky Mountaineer makes the rail journey into the Canadian Rockies to Jasper, Lake Louise, and Banff for awe-inspiring scenery. Canada’s 3rd largest city, Calgary, lies on the plains below the eastern edge of the Rockies and is famous for the Calgary Stampede held annually in July, while the capital city of Alberta, Edmonton, lies a further 300kms north.  Covering over 50% of Canada’s land mass, the central provinces of Saskatchewan and Manitoba and the northern territories of Nunavut, the Yukon, and the Northwest Territories are characterised by wide plains, dense forests, and icy tundras. The capital of Manitoba, Winnipeg, lies in the south of the province and is almost halfway between Vancouver and Quebec. 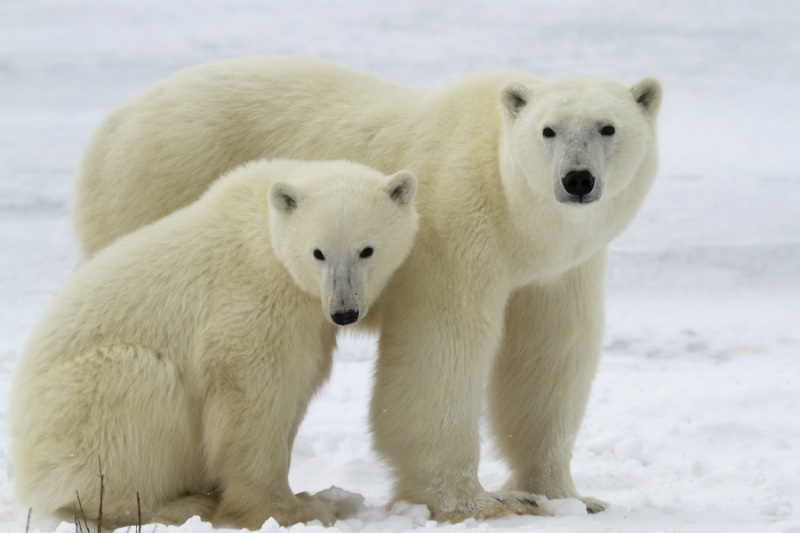 Approximately 1000kms north on the shores of Hudson Bay, Churchill has become one of the best locations to view polar bears in the world. Reachable only by air, expeditions usually last 7 days in October and November. 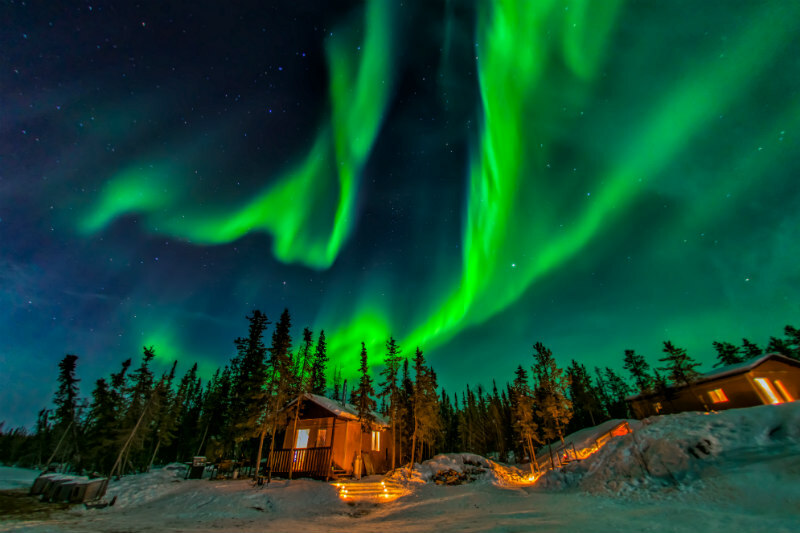 In the far north, Yellowknife, the capital of the Northwest Territories, and Whitehorse, the capital of Yukon Territory, both sit above the 60th Parallel and due to the lack of light pollution are known for some of the best displays of the northern lights during the winter months. The Aurora Borealis is commonly visible between the months of September to March with the best chances in December when the sun sets at approximately 3pm.  Be aware though that the temperature can drop below -30°C. 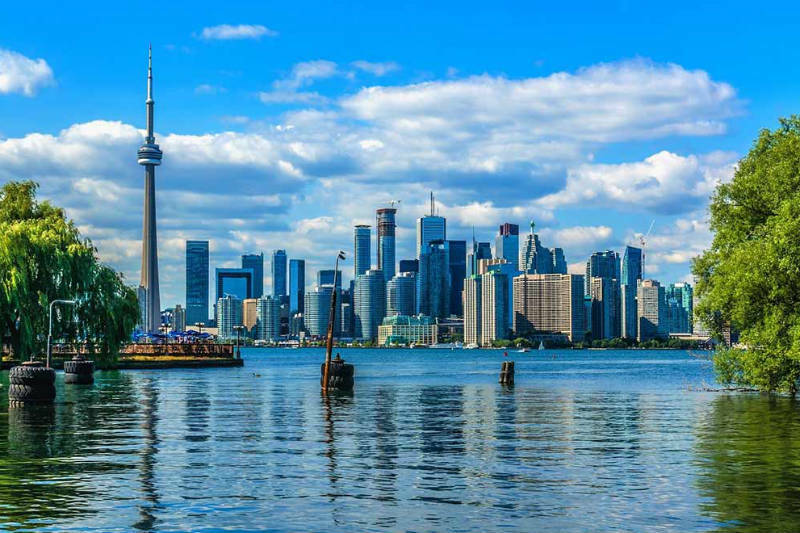 The most populous region of Canada, the provinces of Ontario and Quebec contain three of the four largest cities in the country with Ontario’s capital, Toronto, being the largest. Home of the CN Tower with Ripley’s Aquarium of Canada at its base, this picturesque waterfront area is perfect for families and first-time visitors. Also in the area, catch the excitement of an ice hockey game at the Rogers Centre, home of the Blue Jays. Toronto also has some amazing day trips including fantastic wine regions as well as being Canada’s gateway to Niagara Falls. Canada’s capital city of Ottawa is located on the border of Ontario and Quebec. With significant architectural accomplishments ranging from the Rideau Canal which turns into an ice skater’s heaven in the winter, to Canada’s Neo-Gothic Parliament House where the changing of the guard is a spectacle not to be missed. 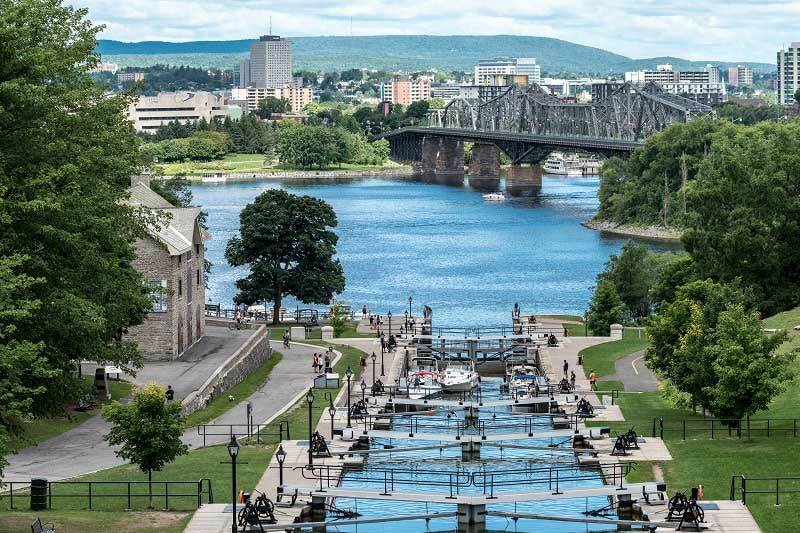 The French speaking cities of Montreal and Quebec City are situated along the St Lawrence River and have a very different feel to other cities in Canada. 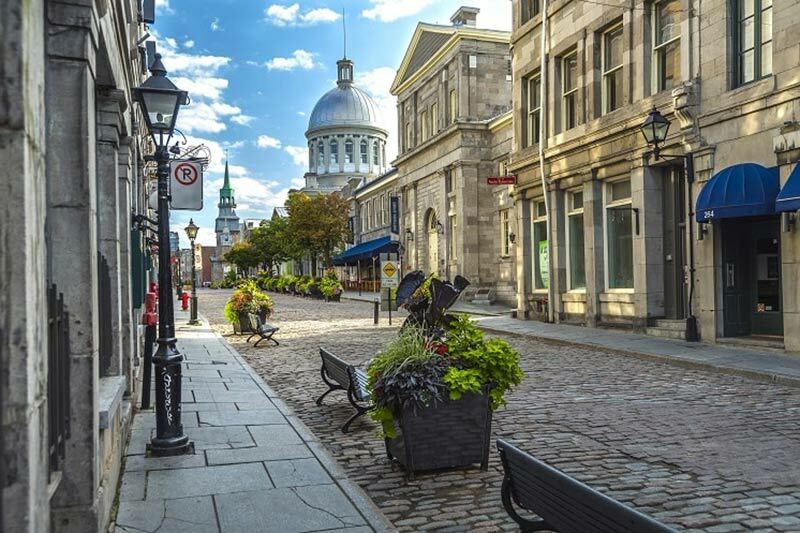 With old town centres and a distinctly European feel, the skylines are picturesque with the Basilique Notre-Dame de Montreal, and the world-famous Fairmont Le Chateau Frontenac overlooking the UNESCO World Heritage listed townsite of Old Quebec. Easily walkable cities, many of the major sights are close together and both integrate natural beauty alongside the cityscape. The provinces of New Brunswick, Prince Edward Island, Nova Scotia, and Newfoundland and Labrador along the Atlantic coast are more commonly known as the Canadian Maritimes and offer visitors amazing coastal scenery, charming towns, and one of the greatest roads in the world, the Cabot’s Trail. Highlights include the Bay of Fundy, Confederation Bridge, and Halifax, the capital city with a small town feel. The entire area is teaming with wildlife in the air, on land, and in the water. Lucky visitors will see finback, minke, right whales and humpbacks depending on the time of year. Whether it’s the convenience of a direct flight or connecting to some of the more remote regions, the extra space and comfort of a fully flat bed, access to the business class lounge, and the restaurant quality cuisine are sure to make the journey more manageable. This is especially important for the return flight from Canada to the UK where all flights are overnight, making business class flights the ideal way to ensure a good sleep. British Airways and Air Canada offer direct services to several major Canadian destinations. Operating from London, these business class flights to Canada offer the most convenience with the fastest journey time and an uninterrupted sleep on the return flight. Connecting flights allow passengers the choice of more destinations, departure and arrival times, and airlines. Connections can be made in both the United States with United Airlines, American Airlines, and Delta Air Lines, as well as Europe with the likes of KLM and Air France. Planning a trip to Canada? Make it extra special with business class flights to Canada through Just Fly Business.  We will take the hassle out of finding you the best deal to suit your needs, as well as offering a fantastic range of accommodation, tours, cruises, rail tickets, and ski packages. Contact our specialists today on 020 8417 1366 or complete the form online and we’ll get back to you.